Many of us tried reading the Bible while we were unsaved and found it to be impossible to read, understand or retain. There is a reason for that. We must be born again. 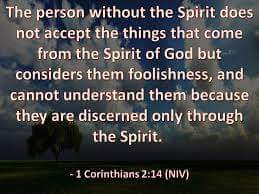 It takes the indwelling Holy Spirit to comprehend or perceive the scriptures. Those who are new in the faith must grow in the faith as new born babes learning simple truths of God’s word. 2 as newborn babes, desire the pure milk of the word, that you may grow thereby,[a] 3 if indeed you have tasted that the Lord is gracious. 2 Tim. 2:15 Study to show thyself approved unto God, a workman that needeth not to be ashamed, rightly dividing the word of truth. 2 Tim. 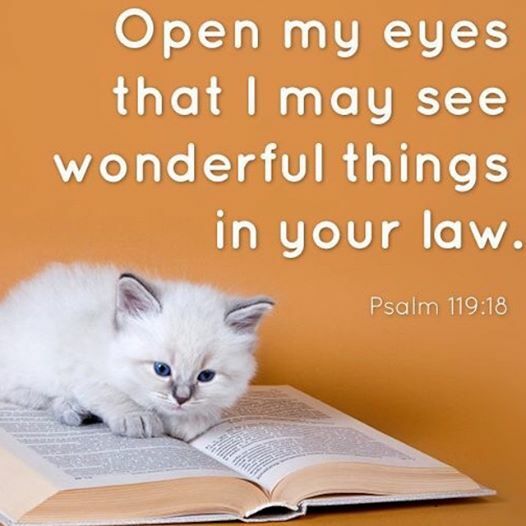 3:15 And that from a child thou hast known the holy scriptures, which are able to make thee wise unto salvation through faith which is in Christ Jesus. I want to encourage you to read God’s word…your future depends upon it! We live in perilous times. God has promised to take care of us, protect us, comfort us and be with us. If we don’t have a strong word foundation, how will we stand with bold faith as the storms of life approach? Repent and Ask the Lord to: Create in me a clean heart! 1 And I, brethren, could not speak to you as to spiritual people but as to carnal, as to babes in Christ. 2 I fed you with milk and not with solid food; for until now you were not able to receive it, and even now you are still not able; 3 for you are still carnal. For where there are envy, strife, and divisions among you, are you not carnal and behaving like mere men? 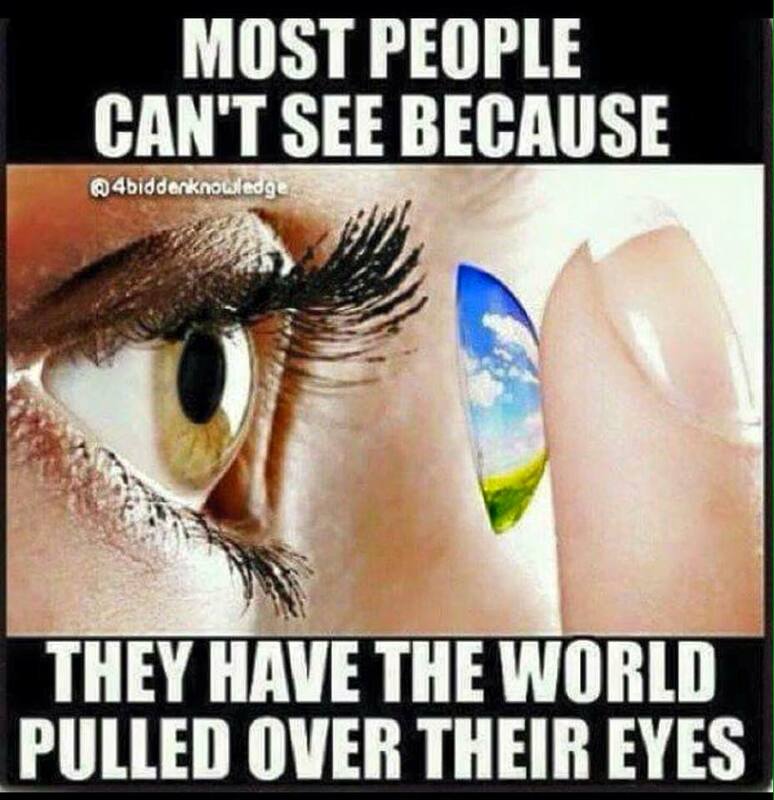 5 For those who live according to the flesh set their minds on the things of the flesh, but those who live according to the Spirit, the things of the Spirit. 6 For to be carnally minded is death, but to be spiritually minded is life and peace. 7 Because the carnal mind is enmity against God; for it is not subject to the law of God, nor indeed can be. Ask the Lord to take out the stony heart and put in a heart of flesh! 19 Then I will give them one heart, and I will put a new spirit within them, and take the stony heart out of their flesh, and give them a heart of flesh, 20 that they may walk in My statutes and keep My judgments and do them; and they shall be My people, and I will be their God. 21 But as for those whose hearts follow the desire for their detestable things and their abominations, I will recompense their deeds on their own heads,” says the Lord God. Ask the Lord to give you eyes to see, ears to hear and a heart to understand! Ask Him to prepare your heart to be good ground to receive His word! A friend of mine told me that she used to have the hardest time reading the Bible. She said her husband would read it and come to her all excited about things that just jumped out at him. She would get frustrated and ask the Lord why she didn’t see things like that when she read the same passages. She finally prayed and asked the Lord to make the scriptures come alive to her, like a movie. She said that soon after she prayed that prayer, she read the book of Esther and it was so real she felt like she had been there! From then on she couldn’t wait to read the Bible because it was full of such rich stories of adventures with God! When we ask the Holy Spirit to help us, He will. Ask the Lord to cause you to understand the fear of the Lord. Psalm 86:11 11 Teach me Your way, O LORD; I will walk in Your truth; Unite my heart to fear Your name. 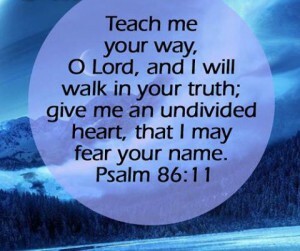 Psalm 119:33-38 33 Teach me, O LORD, the way of Your statutes, and I shall keep it to the end. 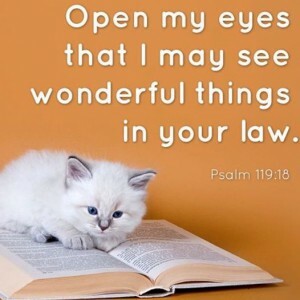 34 Give me understanding, and I shall keep Your law; indeed, I shall observe it with my whole heart. 35 Make me walk in the path of Your commandments, for I delight in it. Jer. 24:7 And I will give them a heart to know me, that I am the LORD: and they shall be my people, and I will be their God: for they shall return unto me with their whole heart. Ask the Holy Spirit to show you the best time to spend intimate time with the Lord. Romans 12:1-2 1 I beseech you therefore, brethren, by the mercies of God, that you present your bodies a living sacrifice, holy, acceptable to God, which is your reasonable service. 2 And do not be conformed to this world, but be transformed by the renewing of your mind, that you may prove what is that good and acceptable and perfect will of God. Matthew 6:31-34 31 “Therefore do not worry, saying, ‘What shall we eat?’ or ‘What shall we drink?’ or ‘What shall we wear?’ 32 For after all these things the Gentiles seek. For your heavenly Father knows that you need all these things. 33 But seek first the kingdom of God and His righteousness, and all these things shall be added to you. 34 Therefore do not worry about tomorrow, for tomorrow will worry about its own things. Sufficient for the day is its own trouble.